A growing body of research in recent years is establishing the importance of glycosylation in cancer. 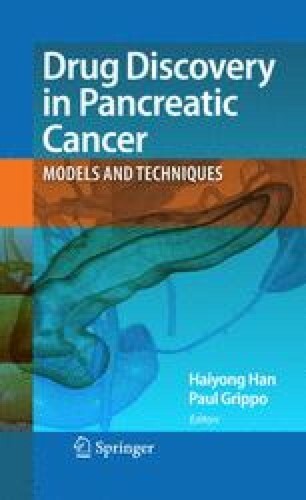 Several types of cancer, especially epithelial carcinomas such as pancreatic cancer, commonly display particular carbohydrate alterations that have potential functional roles in cancer progression. New analytical tools are providing enhanced opportunities for studying glycans in cancer. One such tool is the antibody-lectin sandwich array (ALSA). ALSA complements existing glycobiology methods by offering a unique set of capabilities, such as reproducible detection of glycans on specific proteins, sensitive detection directly from biological samples, multiplexed analysis of both core protein and glycan levels, and low-volume, high-throughput sample processing. Using this tool, one may characterize glycan variation in populations, identify glycan changes on specific proteins in model systems, or characterize protein carriers of specific glycans. These types of experiments will be especially useful in pancreatic cancer research in studies to develop biomarkers and to define therapeutic targets. We would like to thank the NCI (4R33CA122890) and the Van Andel Institute for their support of this work.